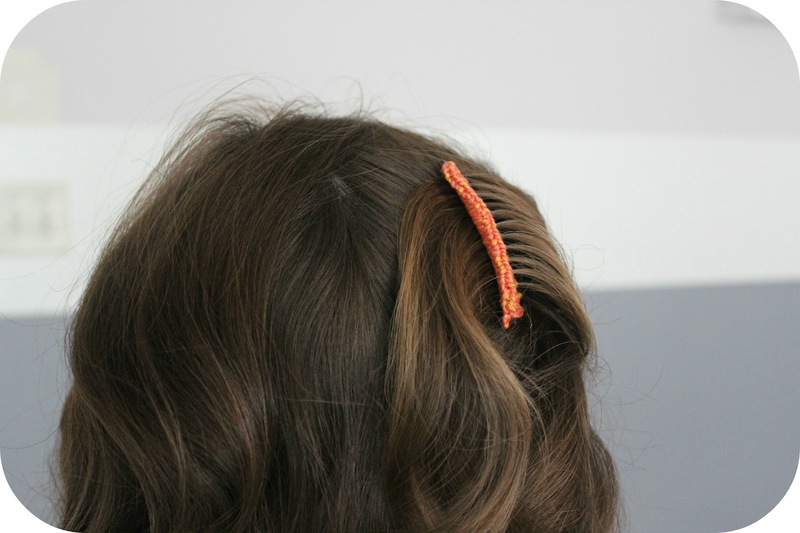 A couple weeks ago, I was searching for a cute new hair craft. 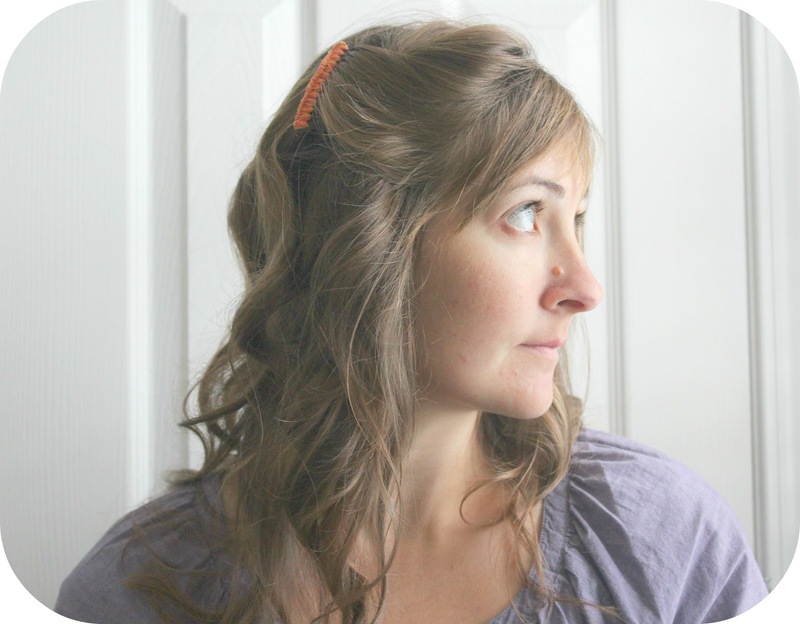 I stumbled across this completely new-to-me idea on the blog, Lemon Jitters. 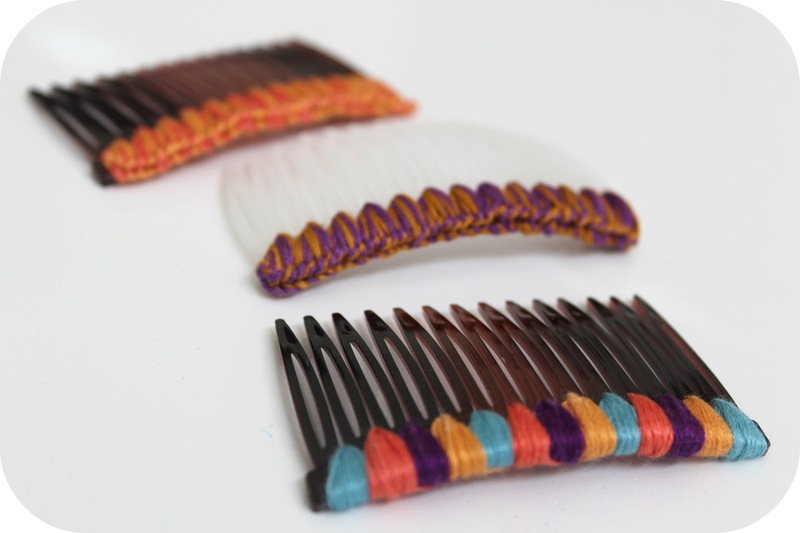 She wrapped embroidery thread around a hair comb! And then, to make it "my own" I figured out a way to crochet the thread around instead of just wrapping it. 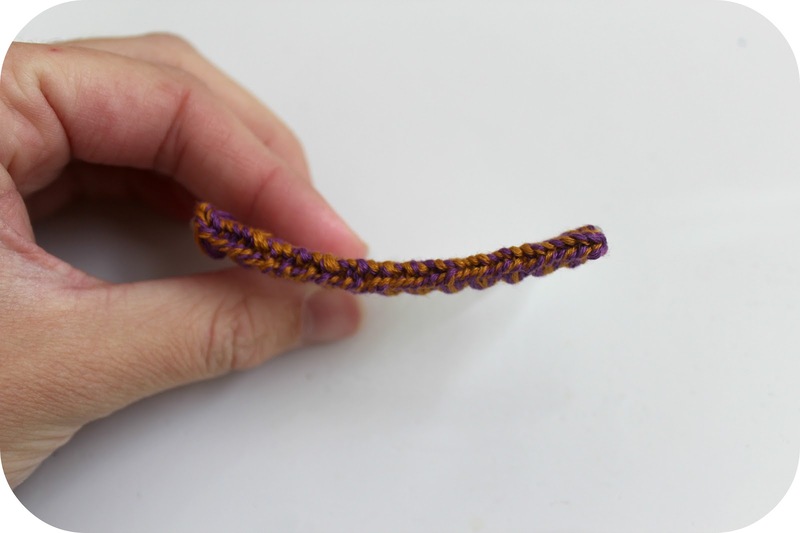 Click on the Lemon Jitters link above to learn how to wrap the thread, and follow the instructions below if you want to try it crochet style! 1. 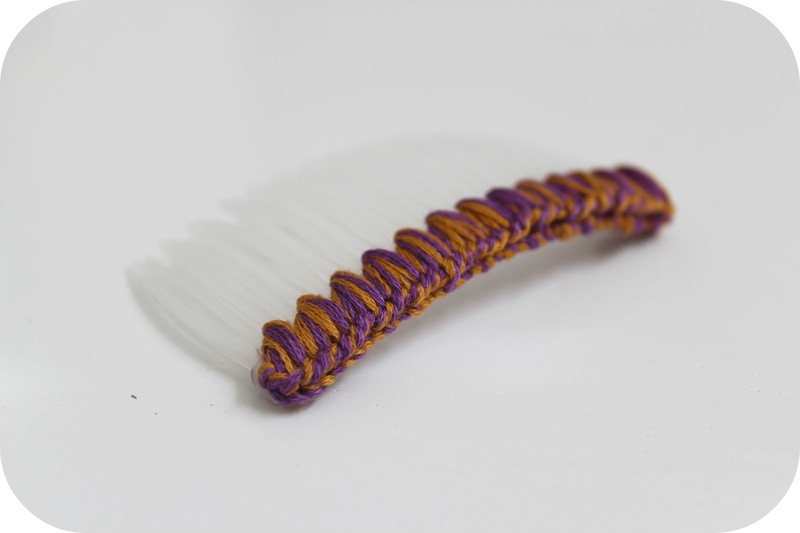 Fasten your thread onto a small crochet hook. 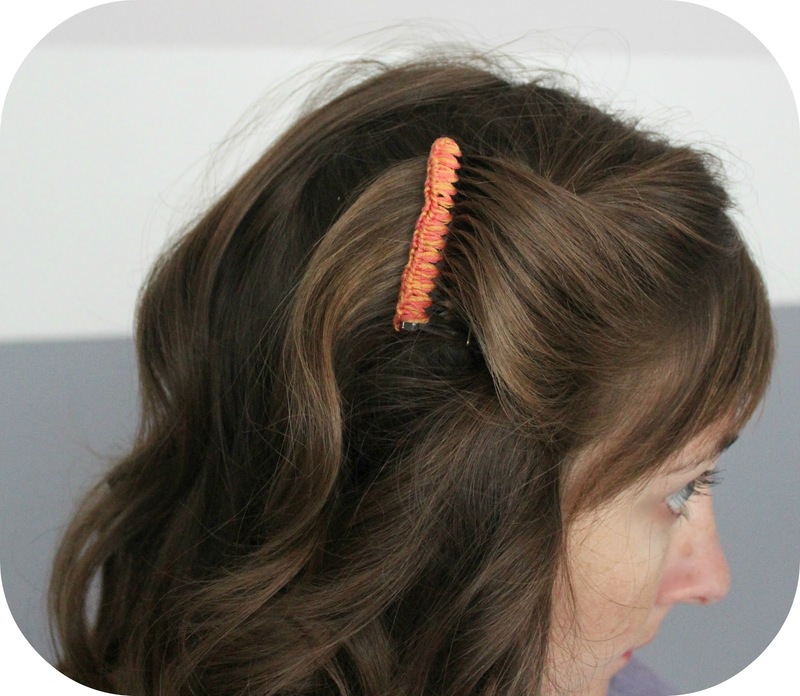 Hold it just above the first space on the right side of the comb. 2. Wrap the thread from front to back through the first space. 4. Pull through the loop on the hook. 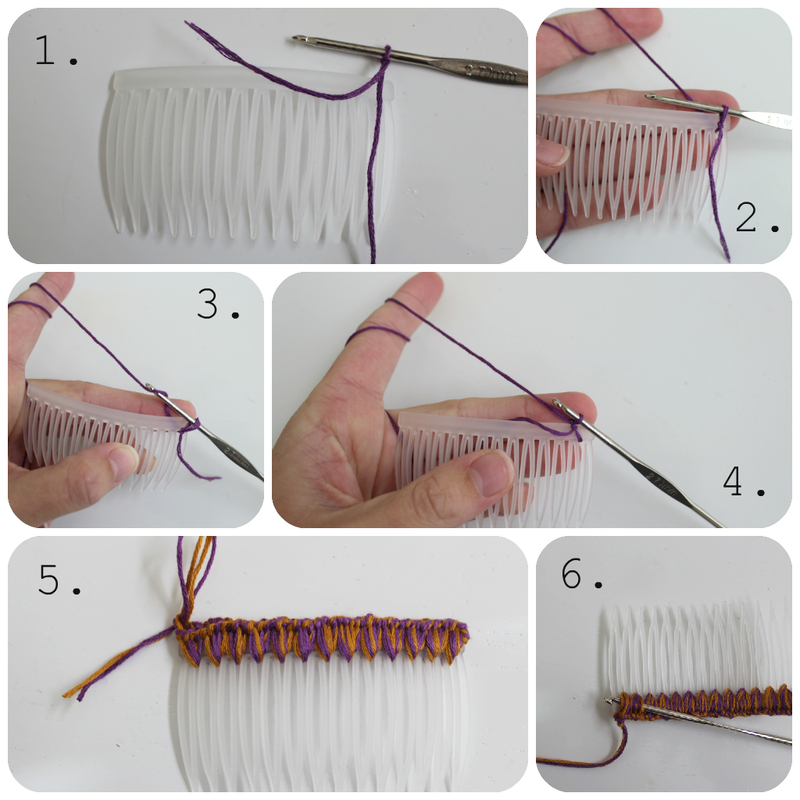 Repeat steps 2-4, wrapping 4 times in each space along the comb. 5. When the last section is complete, cut your thread and pull through the last loop to make a knot. 6. 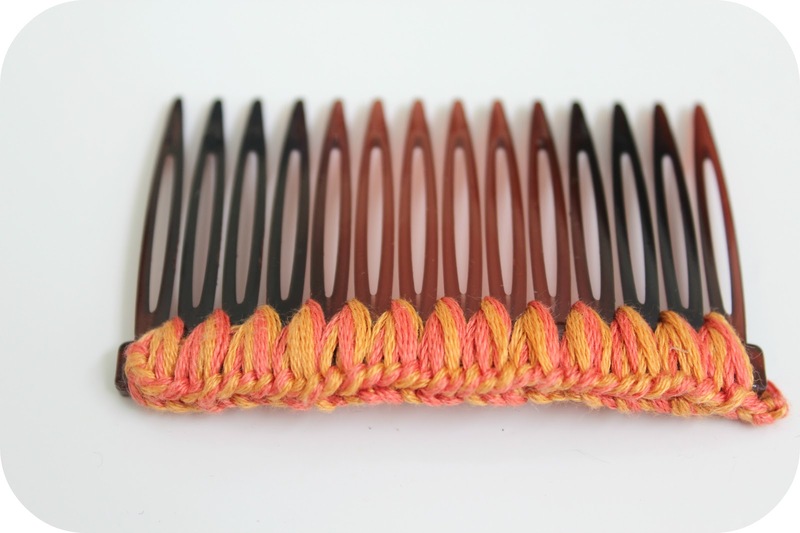 On the back side of the comb, slide your crochet hook through several strands. Yarn over the cut end of thread and pull through and under. 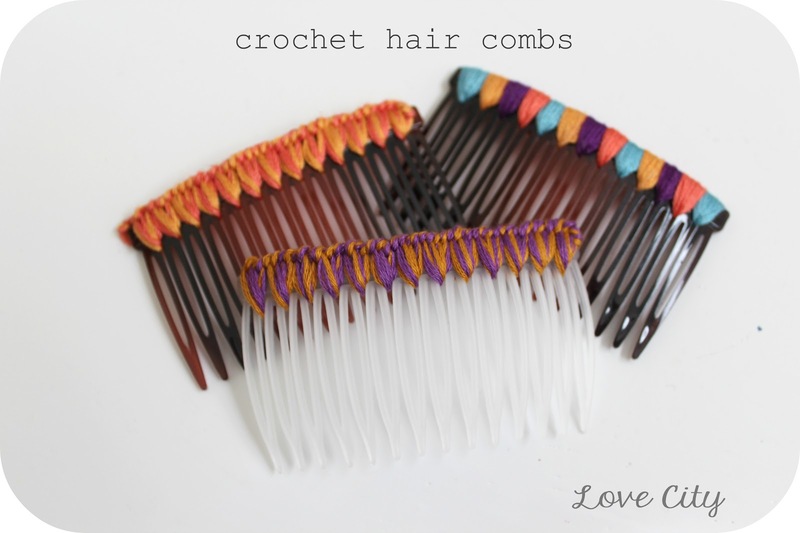 I love the little bit of texture that this crochet method leaves on the top of the comb, don't you? 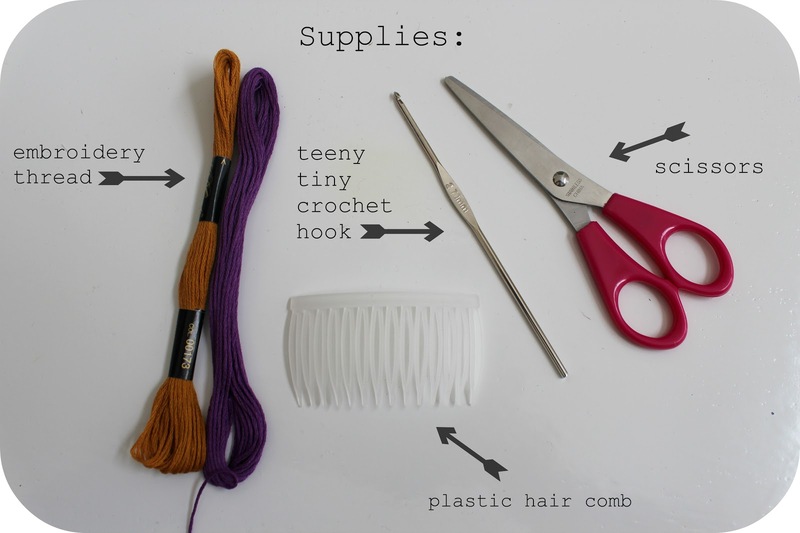 And since that was so easy, now you can go make yourself a bunch. You can choose colors to match all of your cute outfits! 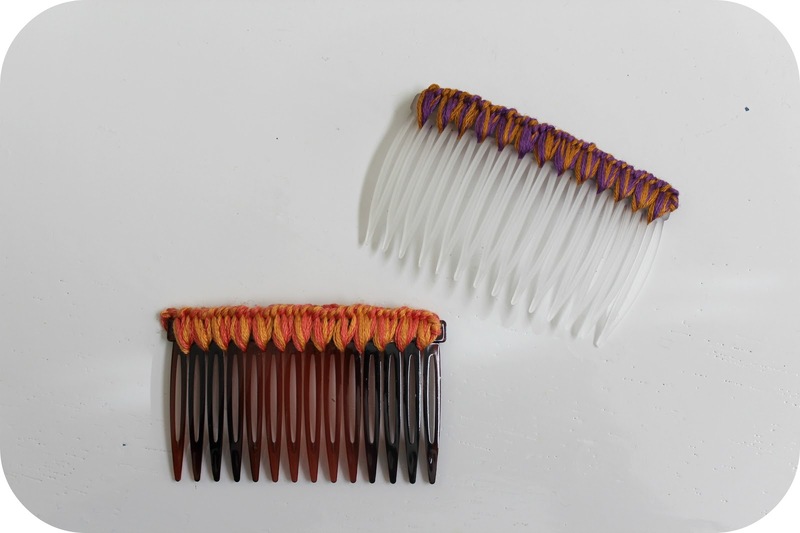 but I am now having a blast finding new ways to do my hair with these! (And a new shirt from Old Navy. 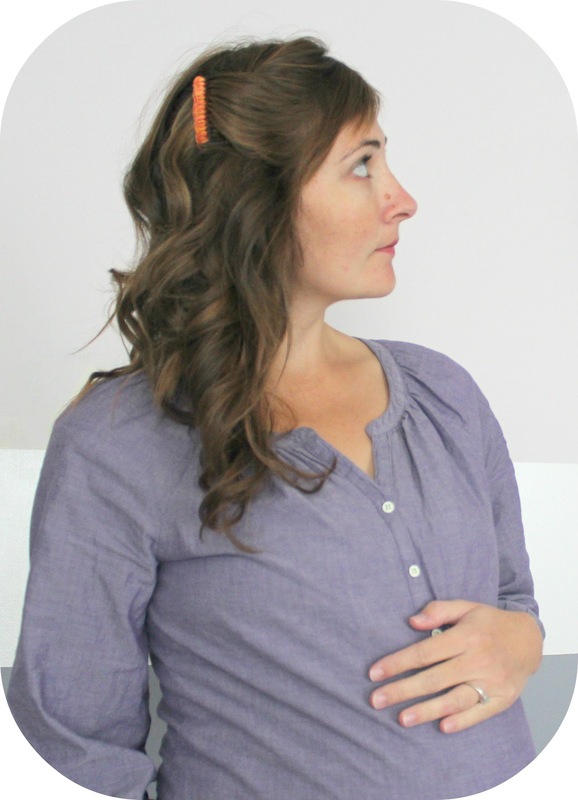 Not maternity, and it still fits! So cute! 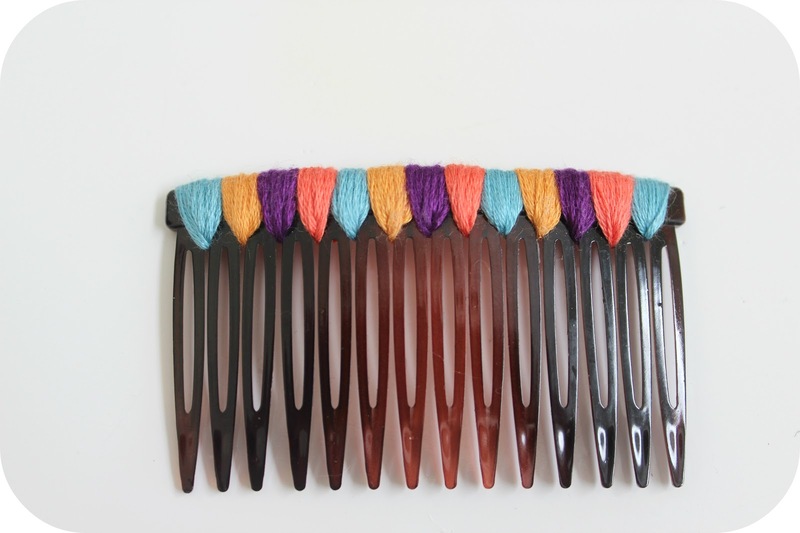 I wish my hair would hold those combs. I think it's too thick, because they always fall out!